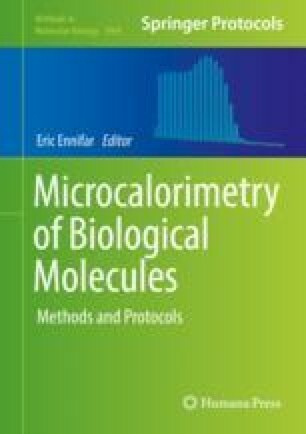 This chapter describes how to collect Michaelis-Menten kinetic data on an enzyme-catalyzed reaction with the isothermal titration calorimetry (ITC) and the single-injection method. ITC measures the heat rate which is directly proportional to the reaction rate. The enthalpy change (ΔrH), Km, kcat, and vmax are determined in a single assay that does not require labeling or immobilization.